After having its biggest quarter ever in Q3 2016, MSNBC added hundreds of thousands of new viewers in the just-completed Q3 of 2017. The NBCU news network was up double digits across the board, with its biggest growth in prime time, up +43 percent in viewers and up +29 percent in the A25-54 demo. The Rachel Maddow Show finished as the No. 1 cable news program in total viewers and in the A25-54 demo. This is the first time any MSNBC show has ranked No. 1 in all of cable news. MSNBC also saw big total day growth: up +41 percent in viewers and up +27 percent in the demo vs. Q3 2016. Not only was this MSNBC’s most-watched quarter ever, the network is in the closest competitive position to Fox News in 17 years (since Q3 2000). While cable news advertising is sold based on the adults 25-54 demo, MSNBC can claim a win in the adults 18-49 demo, over Fox News and CNN. MSNBC was the No. 2 network overall in prime time and in total day (total viewers), behind Fox News. In the A25-54 demo, MSNBC was No. 2 in prime time, but No. 3 (to CNN) in total day. In addition to growth for Rachel Maddow–up +75 percent in total viewers and up +68 percent in the demo–The 11th Hour with Brian Williams was No. 1 in the A25-54 demo for the 1st time ever and No. 1 in total viewers for the 2nd straight quarter. Morning Joe had its best quarter ever and, for the 1st time in its 10-year history, averaged more than 1 million viewer. The show also had its biggest lead ever over CNN’s New Day in total viewers. NEW YORK (September 26, 2017) – MSNBC topped CNN and scored the network’s biggest quarterly ratings on record among total viewers during weekday prime (M-F 8-11pm), full day (M-F 6am-2am), dayside (M-F 9am-5pm) and total day (M-Su 6am-6am) for the 3rd quarter in 2017, according to Nielsen. MSNBC’s solid gains across all shows has solidified the network’s lead over CNN in total viewers: Weekday prime beat CNN for the 6th straight quarter, full day beat CNN for the 3rd straight quarter, and total day bested CNN for the 2nd straight quarter. MSNBC weekday prime (M-F 8-11pm) finished 1st in A18-49, ahead of both FOX News and CNN for the 2nd straight quarter. MSNBC topped CNN in total viewers (2.2 million vs. CNN’s 1.16 million), leading CNN by more than 1 million viewers – the network’s biggest win over CNN ever for a quarter – and delivering the closest competitive position to FOX News in 17 years (since 3rd quarter 2000). In A25-54, weekday prime also beat CNN for the 2nd straight quarter (480,000 vs. CNN’s 399,000). In A18-49, weekday prime beat both competitors in the time period (334,000 vs. CNN’s 314,000 and FOX News’ 320,000). Compared to 3Q16, MSNBC was the only cable news network to post gains. MSNBC was up +43% in total viewers (vs. CNN’s -19% and FOX News’ -14%), +31% in A25-54 (vs. CNN’s -14% and FOX News’ -8%) and +27% in A18-49 (vs. CNN’s -18% and FOX News’ -17%). Among all cable networks in weekday prime, MSNBC ranked #2 in total viewers (ahead of ESPN and HGTV, behind FOX News) and #6 in A25-54. “The Rachel Maddow Show” continued its cable news dominance, finishing as the #1 cable news program in total viewers and in A25-54 (for the 2nd consecutive quarter). This is the 1st quarter that any MSNBC show has ranked #1 in all of cable news. 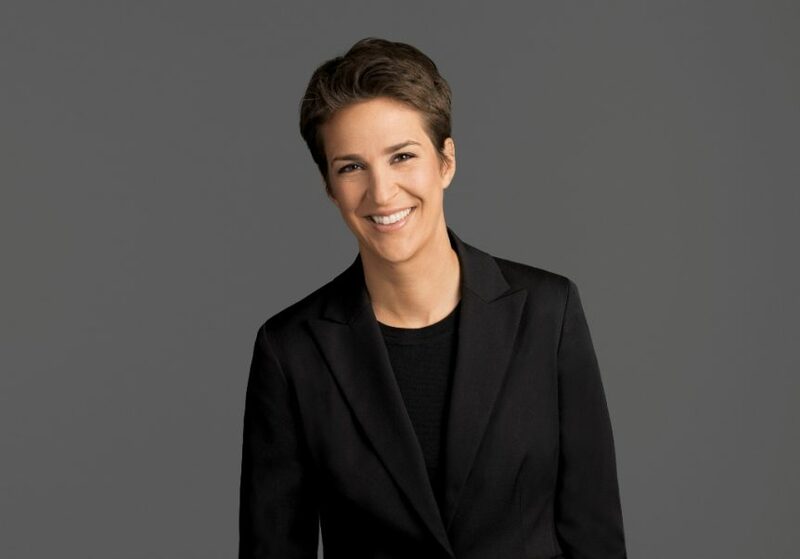 “Maddow” posted the show’s highest ever quarterly delivery in both total viewers (2.7 million vs. CNN’s 1.2 million and FOX News’ 2.3 million) and A25-54 (606,000 vs. CNN’s 403,000 and FOX News’ 486,000). Compared to 3Q16, “Maddow” was up +75% in total viewers (vs. CNN’s +17% and FOX News’ -20%) and +68% in A25-54 (vs. CNN’s +22% and FOX News’ -14%). “The 11th Hour with Brian Williams” was #1 in A25-54 for the 1st time and in total viewers for the 2nd quarter in a row. The program posted significant growth compared to the competition in total viewers (+89% vs. CNN’s +3% and FOX News’ -2%) and A25-54 (+65% vs. CNN’s +4% and FOX News’ +2%) over 3Q16. “The 11th Hour” also beat CNN in A25-54. “Morning Joe” at 6am topped CNN’s “New Day” in A25-54 and, for the 10th straight quarter, in total viewers. For the 1st time in its 10-year history, “Morning Joe” averaged more than 1 million viewers, breaking the show’s all-time best quarterly rating. “Morning Joe” also posted its biggest lead ever over CNN (+386,000) in total viewers. Compared to the competition, “Morning Joe” posted greater growth in both total viewers (+38% vs. CNN’s +23% and FOX News’ +18%) and A25-54 (+38% vs. CNN’s +36% and FOX News’ +23%) over 3Q16. MSNBC dayside (M-F 9am-5pm) beat CNN among total viewers for the 1st time in nearly five years (since 4Q12). Dayside delivered the network’s all-time quarterly best with 925,000 total viewers. The A25-54 average of 181,000 viewers was the network’s highest since 4Q08. Dayside posted more growth than both FOX News and CNN in total viewers (+42% vs. CNN’s +4% and FOX News’ -0%) and with A25-54 (+29% vs. CNN’s +16% and FOX News’ +16%) over 3Q16. MSNBC is the 2nd fastest growing cable network in dayside over 3Q16 in both A25-54 and in total viewers (after Oxygen). MSNBC has added nearly 300,000 viewers since 3Q16 – more than 10 times the combined total of CNN and FOX News. MSNBC capped off its record quarter in key dayparts by topping CNN in total viewers for 18 out of 20 hours during weekdays (between 6am and 2am). The following dayside programs not only beat CNN in total viewers but also delivered MSNBC’s best quarterly rating ever for the time period: “MSNBC Live with Stephanie Ruhle” at 9am, which also topped CNN’s highest quarter on record during that time period (973,000 vs. CNN’s 941,000 in 4Q01); “MSNBC Live with Hallie Jackson” at 10am; “MSNBC Live with Velshi and Ruhle” at 11am; “Andrea Mitchell Reports” at 12pm; “MSNBC Live with Craig Melvin” at 1pm; and “Deadline: White House” at 4pm. “Deadline” averaged more than 1 million viewers – a 1st for MSNBC in that hour. This quarter was the 1st time MSNBC has beaten CNN during the 10am, 11am and 4pm hours for any quarter during MSNBC’s 21-year history. Additionally, “MSNBC Live with Katy Tur” at 2pm and “MSNBC Live with Ali Velshi” at 3pm also delivered the network’s highest total viewer delivery for the quarter, placing MSNBC in its closest competitive position to CNN since 4Q12. MSNBC total day (M-Su 6am-6am) bested CNN for the 2nd consecutive quarter. MSNBC averaged 951,000 total viewers – the best total viewer delivery ever in this daypart – and 214,000 viewers in A25-54 – the network’s best average since 4Q12. MSNBC posted greater growth than the competition in total viewers (+39% vs. CNN’s +1% and FOX News’ -3%) and A25-54 (+28% vs. CNN’s +10% and FOX News’ +8%) compared to 3Q16. MSNBC was also the 3rd fastest growing cable network in total viewers over 3Q16 (behind The Weather Channel and Oxygen). Among total viewers, MSNBC was the 3rd ranked network in all of cable (behind FOX News and Nickelodeon), rising 8 places in rank over 3Q16 and adding nearly 270,000 viewers, while FOX News lost 45,000 and CNN gained 12,000 viewers. On weekends, “AM Joy’s” Saturday edition averaged 1.03 million total viewers – the network’s best total audience delivery ever – and 218,000 viewers A25-54 – MSNBC’s best A25-54 since 4Q08. “AM Joy” was up +46% in total viewers (vs. CNN’s +18% and FOX News’ +8%) and +41% in A25-54 (vs. FOX News’ +29%) over 3Q16. The Sunday edition averaged 903,000 total viewers – MSNBC’s best total viewer delivery in the time period ever – and 226,000 viewers A25-54 – the network’s best A25-54 delivery since 2Q03. “AM Joy” delivered more growth than FOX News and CNN in total viewers (+59% vs. FOX News’ +1% and CNN’s +4%) and in A25-54 (+55% vs. FOX News’ +9% and CNN’s +17%). 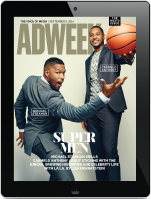 In 3Q17, MSNBC Digital – including its website, mobile app and OTT platforms – delivered its best quarter ever in video starts. On net video starts grew 73% from 3Q16 (Source: Omniture).